Scale the Strat is one of the Fight for Air Climbs fundraising events for the American Lung Association. The Fight for Air Climbers climb up prominent skyscrapers, observation towers, stadiums and arenas in so called "vertical road race." In the 7th Annual Scale the Strat today, competitive teams and individual stair climbers, race up 1455 steps inside the Stratosphere Tower core to reach the Level 108 observation deck, raising funds to provide life saving education, research and advocacy in Southern Nevada. Sproule Love from New York won the men's division with a 7'22" time. Stephanie Hucko from Charlotte, NC was the first woman to reach the top in 8'52". 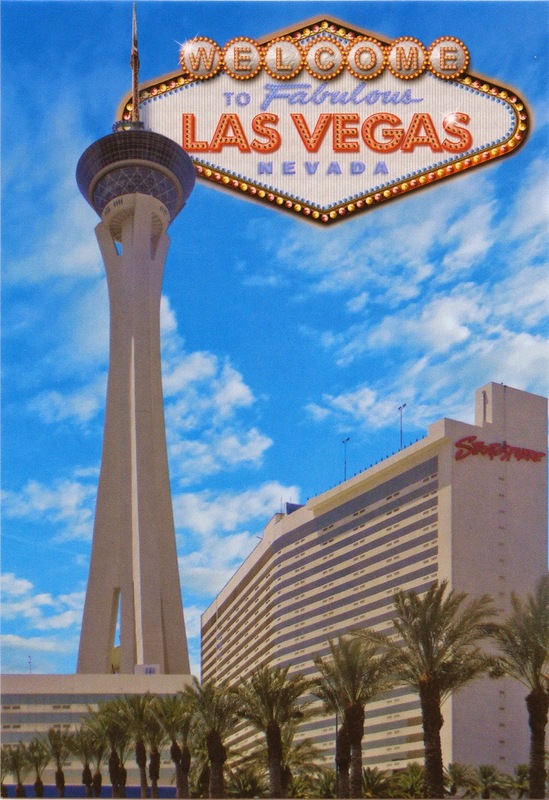 Postcard US-2371131 to Poland shows the Stratosphere Casino, Hotel & Tower at 2000 S Las Vegas Blvd, Las Vegas, NV 89104.